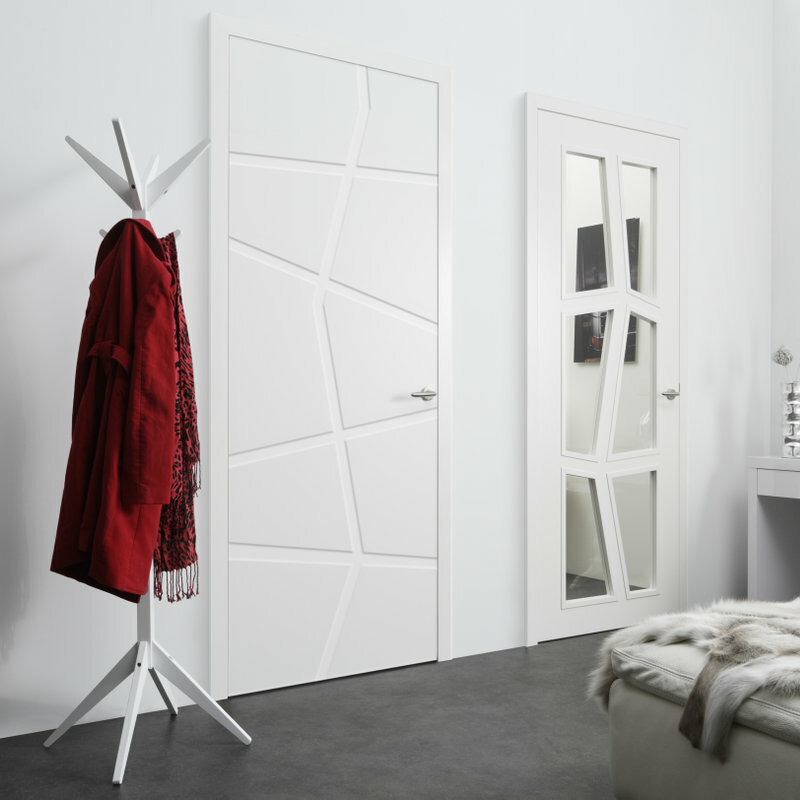 Svedex lacquered designer doors make interiors prettier. Styles and tastes, wishes and trends, are translated into interior doors with character. 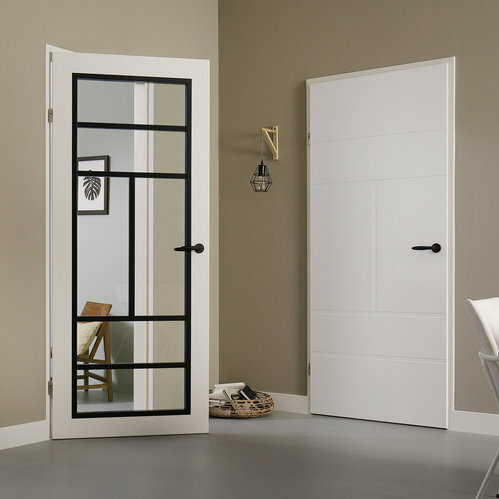 Whatever your taste, style or budget, you will always find a suitable designer door in our versatile collection. For any style, for any taste: we offer great variation. Each style type comprises contemporary door designs that perfectly complement a particular interior style. New: black and grey glass beadings Frame! Do you have a clear idea of the direction you want your design to go? If so, the Frame range is in line to compliment your design. Line doors, with impressive milling work, follow a clear concept: versatility. Additionally, you can choose from the exclusive range of glass doors, detailed with glazing bars that are perfectly in line with the theme. Optional now you can choose black and grey beadings. These doors are truly a delight to see. Everything is focused towards individuality. To bring your interior ideas even better to life, Svedex has extended its collection with black handles and a second black sliding door system. Create Character through Contrast in your interior and make a statement! Everyone has their own individual interior style. The Svedex designers have therefore developed three style types with door designs to suit every preference. Trend equals timeless simplicity, the Elegant collection stands for contemporary classic, while Design expresses ideas that are more outspoken. 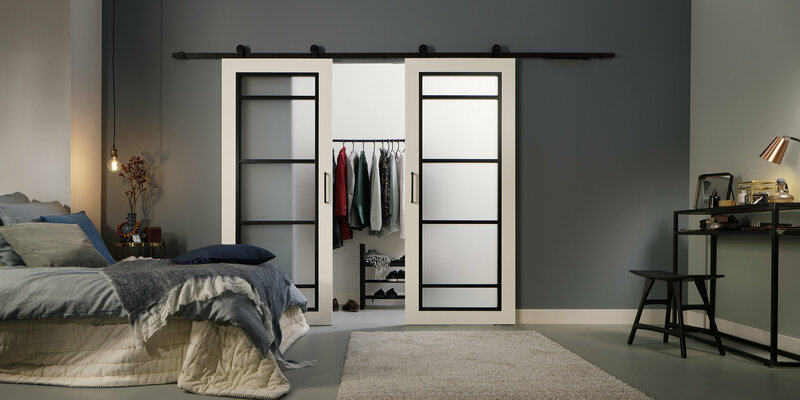 All designer doors have their own character and are of course finished with Svedex Super Lak®. Let Svedex help you to create your own unique style and to give your interior a touch of personality. Our story and our lacquered doors startet well over 60 years. Established in 1954, we build our first factory and we began the journey to beacome one of the first companies in Europe to manufacture doors on an industrial scale. More about Svedex.